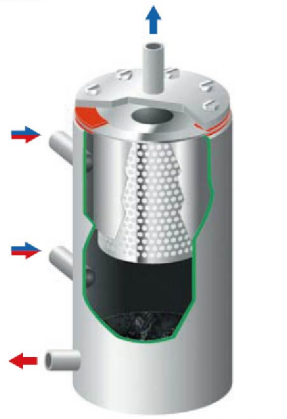 Depending on the application, the oil core can be composed of different layers. The first layer is a coalesced layer made of glass fibers of suitable thickness and porosity. Multi-layer sub-micron glass fibers ensure efficient capture of different fine oil droplets at higher temperatures. The second layer is a separation layer, and the large oil droplets flow through the separation layer into the bottom groove. Use high-quality Air Filter, Oil Filter and coolant and prevent generation of impurities in hydraulic system. I. the high oil content of the exhaust. 2. Gaskets used improperly resulting in oil core short circuit. 3. Oil Separator tank design or selection unreasonable. 4. Oil barrel oil level is too high. 5. Compressor Low pressure operation, the displacement increases, reduced Separation Filter. 6. Operating temperature is too high, increase the amount of lubricating oil evaporation. 7. Use of substandard lubricants. Under the rated flow rate and working pressure, outlet oil content: 0.1-3 mg/m³. Note: The oil-gas separation filter can only achieve physical filtration, unable to capture the oil vapors in compressed gas; the above outlet oil content refers to the content of the non-gaseous oil aerosols. To get higher quality compressed air, after-filter is required. Filter life consumption mainly shows in the form of the flow resistance increasing, so the service life is the primarily related to oil cleanness and filter properties. As long as the system is functioning properly, the service life can be up to 8000 hours(365 days no shut down), but no more than 10000 hours, the glass fiber falling down into the lubrication system causing secondary pollution should be prevented. Flow resistance is an important indicator of filter performance. Under the premise of guaranteed filtration performance, lower flow resistance can reduce compressor energy consumption. Through several tests and improvement, the initial oil saturation pressure drop of oil-gas separation filter is within 16kpa, lower than the standard value 20kpa of peers. Looking for ideal Compressor Water Separator Filter Manufacturer & supplier ? We have a wide selection at great prices to help you get creative. 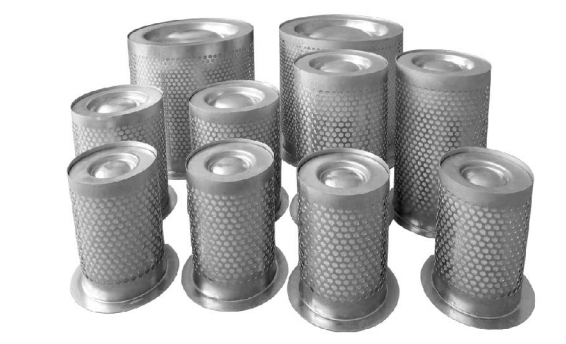 All the Oil Removal Filter For Air Compressor are quality guaranteed. We are China Origin Factory of Compressor Water Separator. If you have any question, please feel free to contact us.